When NASA's Cassini spacecraft plunges into the atmosphere of Saturn on Sept. 15, ending its 20 years of exploration, astronomers will observe the giant planet from Earth, giving context to Cassini's final measurements. "The whole time Cassini is descending, we'll be on the ground, taking data and learning about conditions on Saturn," said Don Jennings, a senior scientist at NASA's Goddard Space Flight Center in Greenbelt, Maryland, and a co-investigator for a Cassini instrument called the Composite Infrared Spectrometer. This farewell is fitting for a mission that has been supported by similar observations throughout its lifetime. 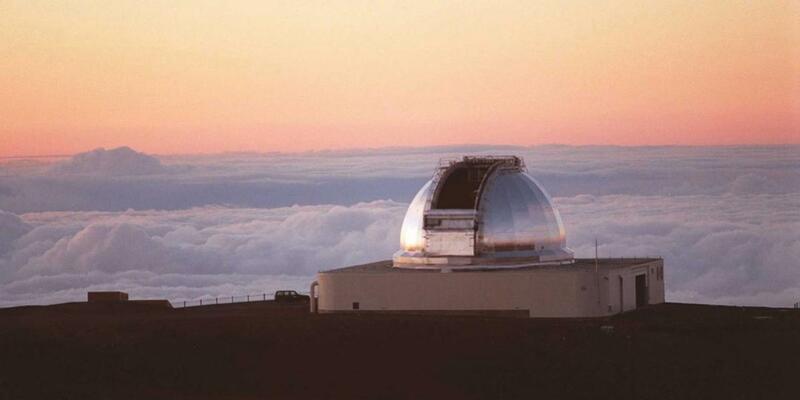 NASA's Infrared Telescope Facility, or IRTF, and the W. M. Keck Observatory, in which NASA is a partner, have provided crucial contributions from the summit of Maunakea in Hawaii. Other U.S. and international telescopes also have investigated the Saturn system, complementing and enhancing the mission. "IRTF and other facilities have provided direct support to the Cassini-Huygens mission and made it possible to link that data to decades' worth of earlier and ongoing ground-based studies," said IRTF director John Rayner. "Through its daytime observing capabilities IRTF is able to provide almost year-round monitoring of planets in support of NASA missions." Ground-based observations of Titan, the giant planet's largest moon, helped with preparations for the Huygens probe mission early in Cassini's exploration of the Saturn system. The probe was released after Cassini entered Saturn orbit and descended through Titan's thick atmosphere to land on the surface. A coordinated ground campaign was organized to study Titan's atmosphere and surface, to measure the wind speed and direction, to look at atmospheric chemistry and to provide global imaging. Eight facilities worldwide participated, observing before, during and after the Huygens probe mission, led by the European Space Agency. These included the Keck Observatory, which captured high-resolution images of the atmospheric weather patterns on Titan, and the IRTF, which helped determine the direction of Titan's winds. "Ground-based observing played a crucial role, because at that time, it was the only way to determine the direction of Titan's winds, which had the potential to affect Huygens' descent to the surface," said Goddard's Theodor (Ted) Kostiuk, who led those observations at the IRTF and is now an emeritus scientist. "The Voyager flyby provided some information about Titan, but wind direction was one thing it could not tell us." IRTF continues to be used for long-term studies of Saturn and Titan and their atmospheres, and to investigate Saturn's moons, extending and complementing Cassini findings. The facility's recently installed high-resolution infrared instrument, called iSHELL, will be deployed for ongoing studies of the aftermath of a massive storm that broke out in Saturn's northern hemisphere in 2010. With its very high spectral resolution, iSHELL has been optimized for the study of planetary atmospheres. Cassini also has received plenty of aloha from the Keck Observatory, which has provided many sharp images and spectra of Saturn's most famous feature – its rings. These studies are made possible by the high spatial resolution of Keck's large aperture combined with a state-of-the-art adaptive optics system to correct for distortions caused by Earth's atmosphere. "It's been exciting to be involved in ground support of the Cassini orbiter over these many years," said Observing Support Manager Randy Campbell of Keck Observatory. "This mission has given us an opportunity to work together toward a better understanding of some of the most beautiful and enigmatic objects in the night sky, Saturn and its moons." During the summer of 2017, the Cassini team used Keck Observatory to take near-infrared spectroscopic data of the regions near Saturn's equator, just as Cassini was diving between Saturn and its rings during its final orbits. The team also took Keck data of the polar magnetic fields to better understand the planet's auroras, which are similar to Earth's northern and southern lights. The Keck Observatory data will be used to verify Cassini's data to provide a sort of "ground-truth" calibration of some of the on-board instruments of the orbiter. After Cassini, ground-based studies will continue, building on everything the spacecraft observed, and keeping the discoveries coming.